The Rebel Sweetheart. 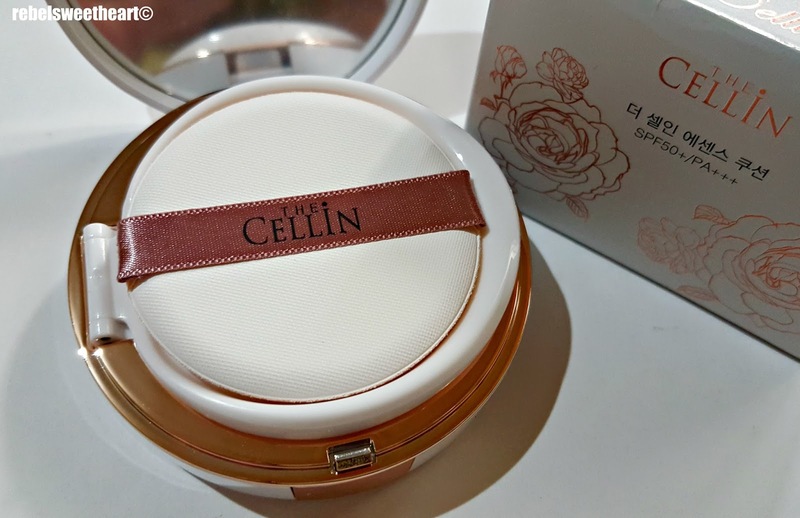 : Spotlight | The Cellin Essence Cushion. Just recently, I have been introduced to an up and coming Korean skincare and cosmetics brand called 'The Cellin'. I discovered this brand through Mr. Kin Dong Heon, a friendly Korean businessman whom I had a quick chat with while Yue and I were riding the Seoul subway. According to him, he was in Manila just recently for the Philippine launching of their cosmetics brand and they are on the look-out for people who would be interested to work with them. We exchanged business cards and as soon as I returned to the Philippines, I did my homework and tried to learn more about the brand. 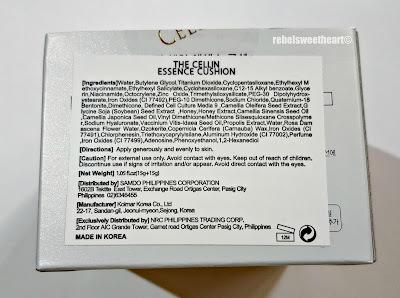 The next thing I know, I was making my first purchase of The Cellin products, including the Essence Cushion which I will be featuring today. The Cellin Essence Cushion - unboxed. Product details translated in English. 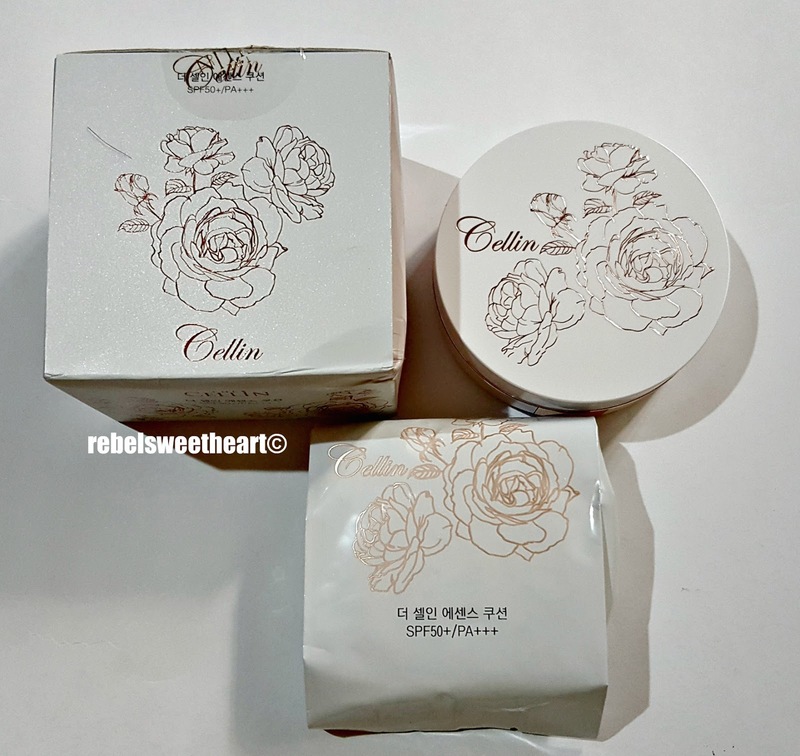 The Cellin Essence Cushion is a brightening, wrinkle-repairing, and UV-blocking cosmetic that contains rosa damascena flower water (hence the rose design on the packaging) which has excellent emollient properties to hydrate the skin. 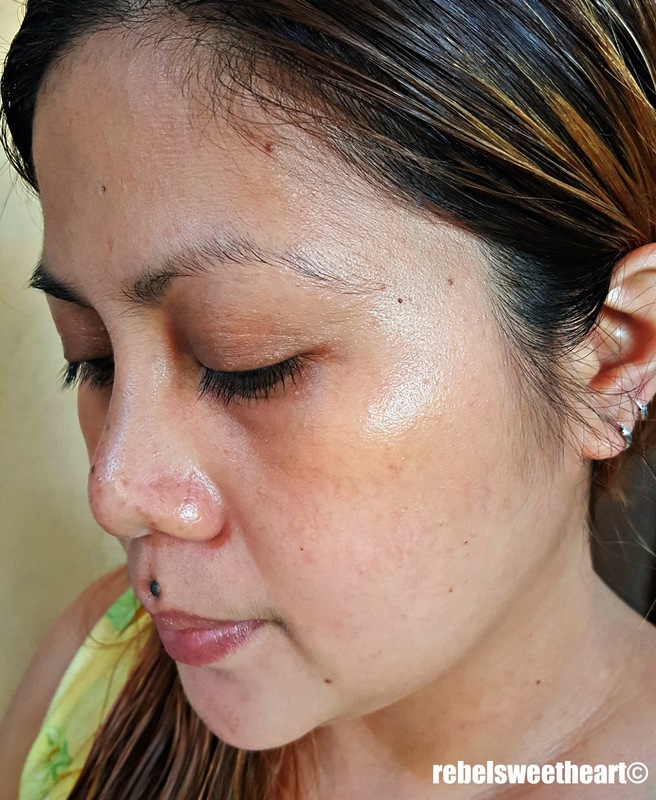 It's also formulated with ADSC-CM, a stem cell-derived essence (hence the name 'essence cushion') which protects the skin from damage and premature ageing and enhances the regeneration of skin tissues. 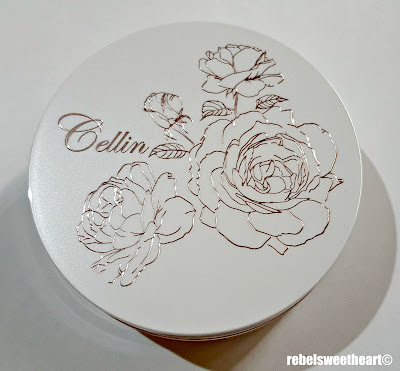 The Cellin Essence Cushion pact. Inside each box of The Cellin Essence Cushion is a cushion pact and a plastic pouch which contains one refill. The cushion pact, emblazoned with intricate roses in gold, looks chic, elegant, and very feminine. Inside the pact is a mirror, an air puff sponge, and a flip-out tray which holds the sponge and keeps the cushion from drying out. Underneath is the cushion, still sealed. Once I removed the seal, I noticed that the cushion has a mild, somewhat floral scent. However it does not appear to be very 'juicy' unlike the other cushion brands that I have tried. Apparently, the cushion was designed that way; it's what the brand calls the 'circular sponge type dual cover cushion' which maintains the product's viscosity and allows you to pick up just the right amount of product. 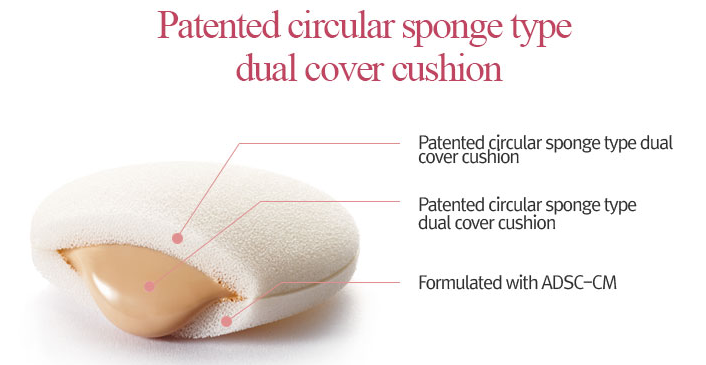 Patented circular sponge type dual cover cushion. 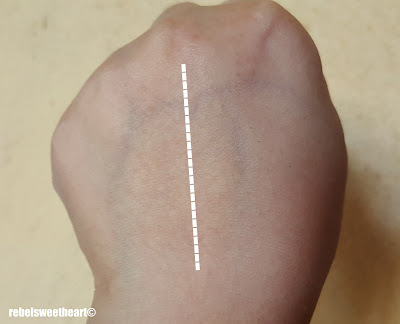 The cushion is available in just one shade - and that's my only gripe about this product - and here's how it looks like when swatched. The Cellin Essence Cushion, swatched. Left, without cushion; right, with cushion. Indoor lighting. Left, without cushion; right, with cushion. Natural light. It's light beige in color, and would suit those with fair to medium skin tones. 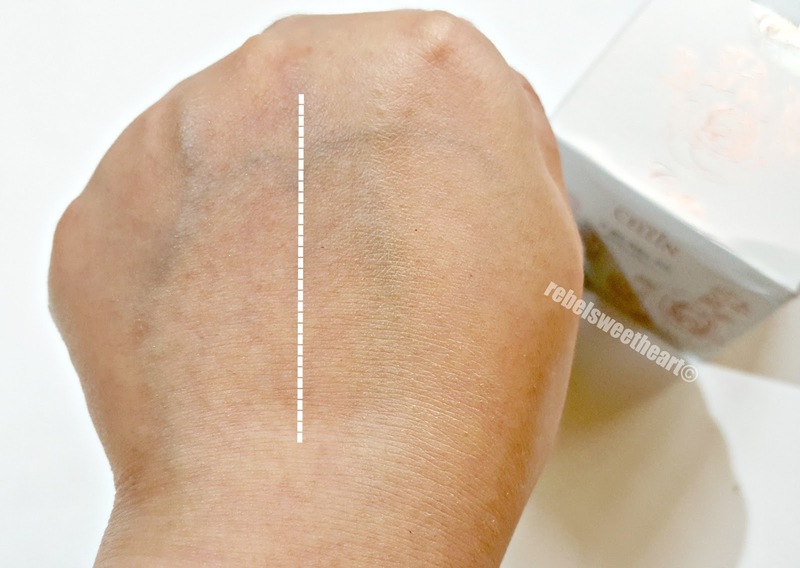 When blended, it settles into a semi-matte finish which brightens the skin without looking too made up. 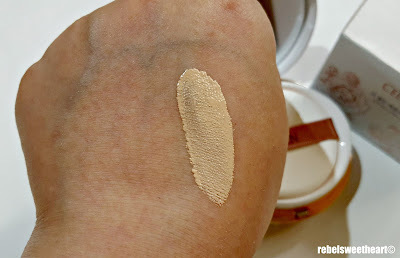 Its formula is light and sheer but provides excellent, flawless coverage. I mean, just look at my before and after pictures below! Made me fall in love with the cushion at first use! 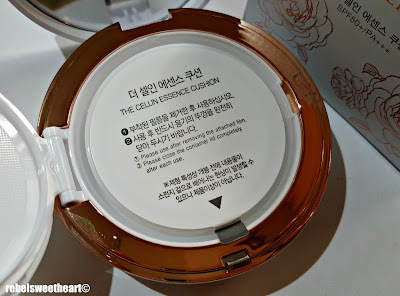 The Cellin Essence Cushion on my face. 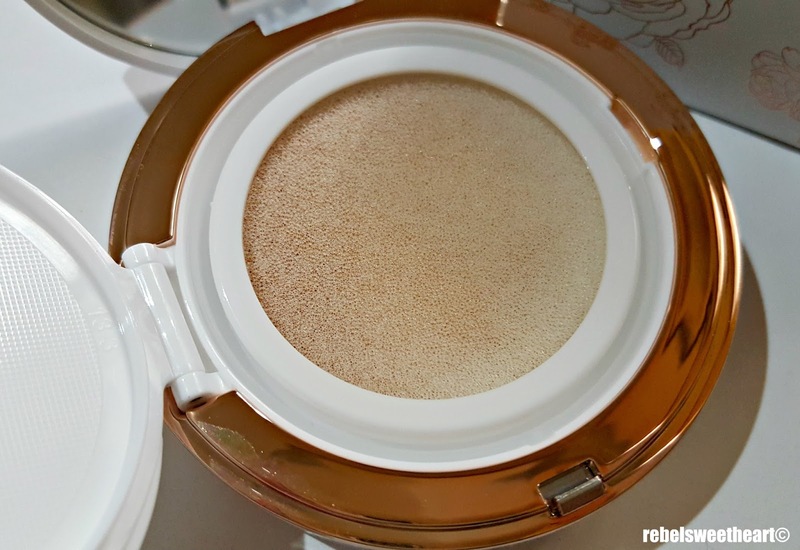 This cushion also has an impressive staying power - six hours at the most with little to no touch-ups. It does not cake or patch even after hours of wear. The best part? It also has sun protection - SPF 50 + PA +++ at that! The Cellin Essence Cushion sells for Php 1840 and can be bought online through The Cellin Cosmetics Facebook page. The Cellin products are manufactured by NRCommunication in Korea and distributed in the Philippines exclusively by NRC Philippines. WAIT?! 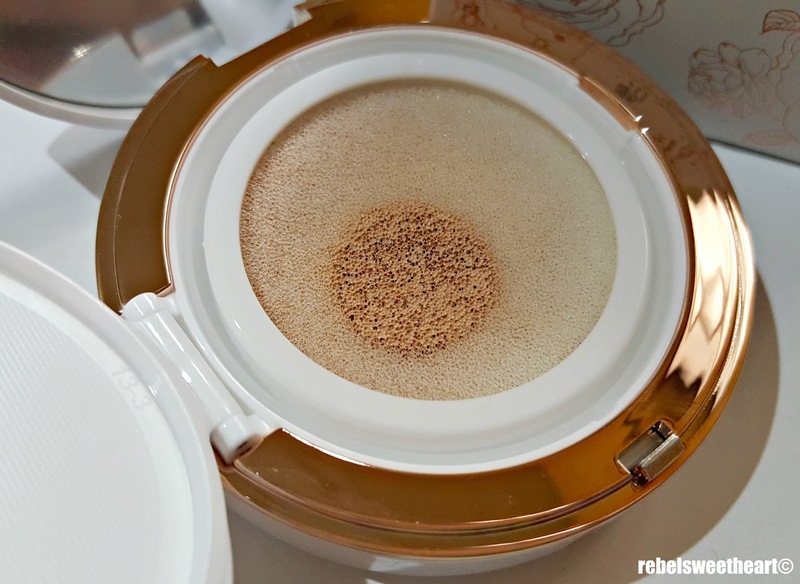 There is make up in the cushion?!?!?!?!?! That's pretty awesome. I've never seen anything like it before! Looks like a great product I need one =) Hoping I can find it in my area. It is difficult to find good make up that works. Thanks for showing us how to apply it. This certainly looks cool. I wish I could get one or maybe something similar because the market it so full of fake products. But this looks good. I think it would be awesome if they have more colors, especially if they're expanding the Philippines. It's nice that the quality is amazing though. OK, there are quite a lot of jargons there that I don't understand. LOL! I'm not into makeup or anything so pardon me for asking a dumb question: how do you apply it? Do you use the air puff sponge? Oh this product looks so great! It's a bit pricey but it's good that the cushion also has a cosmetics products like this. 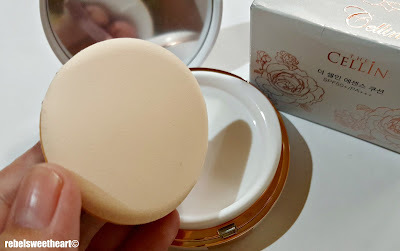 Recently, I started Korean beauty products and find them of good quality. 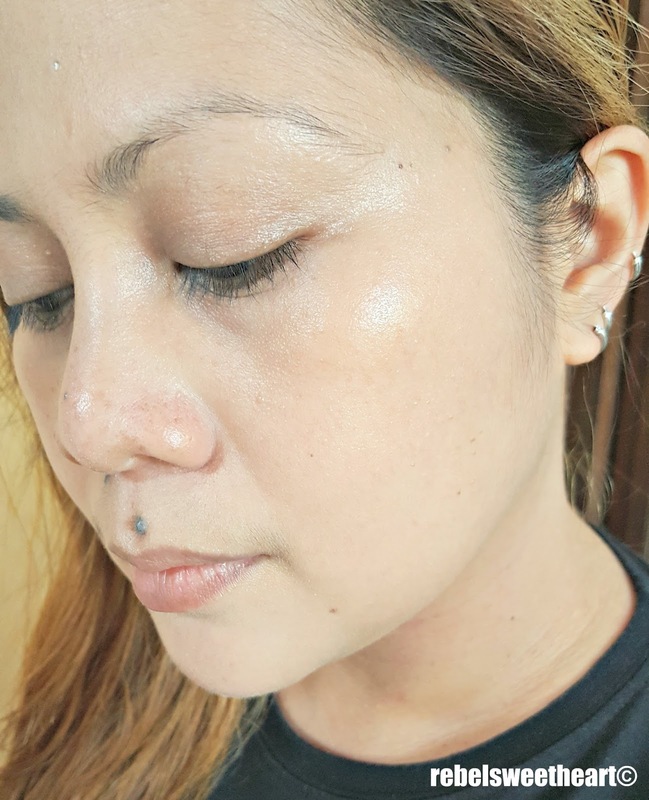 I like that this product has good coverage and has SPF. 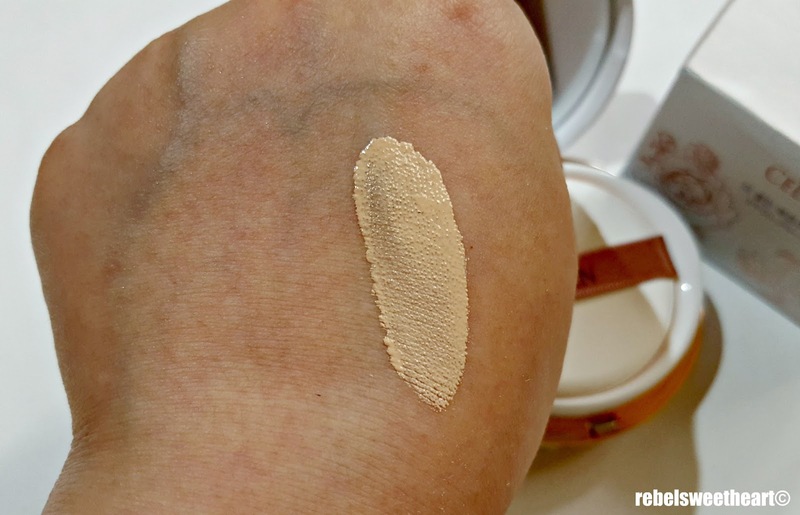 This looks like such a great product and provides the needed coverage for us ladies. Great review! That looks lovely and I can feel how satiny the foundation is. Hope to be able to try it soon. I love the design on the cushion pact. So pretty and elegant. I didn't know there was cream inside the cushion. So clueless when it comes to make up though I love wearing more of it now!